What Constitutes Proof of Rebirth? The Body is Reborn Every Second? The concept of reincarnation and rebirth has successfully captivated human beings over the ages. Although the terms “Reincarnation” and “Rebirth” are often used inter-changeably, there is a significant difference between the two concepts. Reincarnation is normally understood to be the assumption of another body by a permanent self or a “soul”. According to this doctrine, after the biological death, the soul transmigrates into another body. Rebirth, on the other hand, is the idea that it is not a “permanent self” but a form of subtle mind-stream which conjoins with a new life after the death of its previous one. This mind-stream carries within itself karmic imprints from previous births. Also, rebirth doesn’t necessarily have to be in human form, a human being can be reborn as any other sentient being, depending on the karmic cycle. Reincarnation and rebirth are mainly eastern concepts and form the basic tenets of the three major eastern religions of Hinduism, Jainism and Buddhism. However, Hinduism and Jainism talk mostly about reincarnation of the soul, or Atman, Buddhism focuses on rebirth of consciousness. 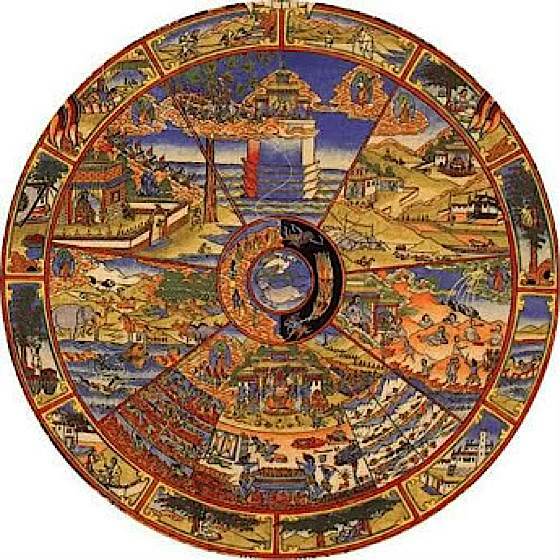 Spectacular tankha of the wheel of suffering, illustrating samsara and rebirths in various worlds, a concept bound up not only in Buddhism, Hinduism, Janaism and Taoism—but given credibility (the concept of rebirth) by scientists. 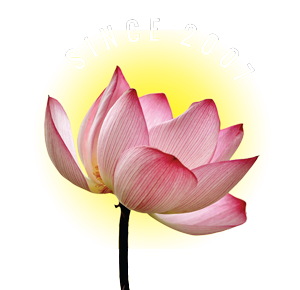 The doctrine of Buddhism discounts the existence of a soul or Atman. According to ancient Buddhist texts, there is no permanent self which moves from one life to another. Instead, it is the consciousness or the stream of consciousness which, upon the end of one life, joins another, much like a flame which is transferred from one candle to another. There is a certain relationship between the past and the present lives, neither are they identical, nor completely distinct. Such transmigration of consciousness is the effect of Karma, and this process of rebirth continues until the consciousness attains Nirvana, or complete independence of material wants and desires. Only then, can the “self” be free. In our present world, driven with science and rationality, the opinion is divided about the existence of the phenomenon of reincarnation. However, scientists have routinely been presented with evidence to at least partially support the notion of rebirth. Reincarnation or rebirth serve as the only conceivable explanation for children as young as three years of age, having detailed knowledge of their past lives, where they stayed, what they did, even how they dies. Other evidence of reincarnation includes xenoglossy, or ability to speak in a language with a person has never learnt and existence of matching scars and birthmarks. In theory, the human body is constantly being reborn. Cells in the body are constantly reborn. Even though we might hold the illusion that we are unchanging, in fact we are a different physical human being now, than we were one month ago. The same is true of the Universe. Of every atom and molecule in the Universe. We are constantly recycling, even within our “one lifetime.” It is, perhaps, for the more science-oriented, easier to accept the notion of some form or rebirth. It’s easier to accept recycling of energy and matter, certainly, than extinction. This isn’t evidence of rebirth, certainly, but the arguments are a fit with current Quantum theory. If, in fact, it’s a matter of perspective, rebirth becomes an easy notion to accept. The arguments are also very inline with Buddhist concepts of existence, emptiness, and self. Putting aside physics, other types of evidence—albeit not accepted by everyone—is past life regression. Past life regression is a method by which a patient is put in a trance and guided by a series of questions into her past life. This can lead to the answers of many questions in an individual’s present life, for example, someone’s irrational fear of insects could be accounted to a trauma suffered in one’s past life. Although many scientists have heavily criticized some pieces of evidence which prove the existence of reincarnation, some scientists are skeptical. The events which have occurred have no other rational explanation except reincarnation or rebirth. The field of science is heavily divided on this issue, although nothing in science contradicts the possibility of rebirth, and many scientists argue there is substantial suggestive evidence that rebirth is more than just a mystical concept. 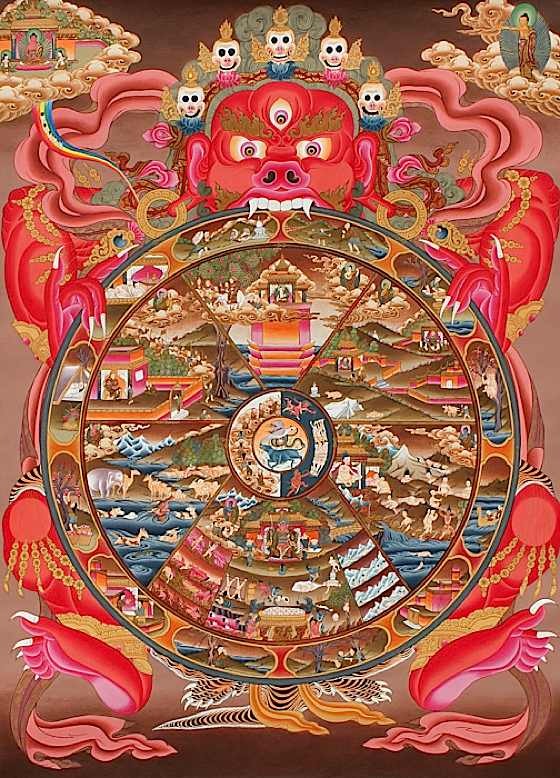 A universal image in Buddhism is the “wheel of Samsara” which illustrates how clinging, suffering and karma bind us to an unending cycle of rebirth. 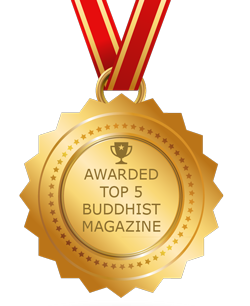 Shakyamuni Buddha taught the path to Enlightenment, and freedom from the wheel of suffering. I feel like you need more argument to say “only conceivable explanation”. Are you aware of other explanations? Could it be coincidence? Who reported the incident? What are the circumstances of someone who alleges someone spoke a language they have never heard? Was there a person present who spoke that language. How would you verify that someone never heard it? My point is that to make your case stronger, I suggest you present the other explanations and work them. Just stating that it’s the only conceivable explanation might just be a limitation in yourself, and not the larger world, and in no way to do you begin to prove that in your essay. Seems a short cut. Maybe you could apply your open mindedness to that. In that piece, the contributor made this, along with several other arguments: “The best known evidence is the work of Ian Stevenson, who spent fifteen years collecting data from over 4500 people who spontaneously recalled past lives. According to Dr. Robert Almeder of Georgia State University, “This was important research, empirical research and I could not think of any alternative explanation as plausible for the data as that some people reincarnate.” … he went on to add: “Dr. Stephenson himself said, “It’s not unreasonable to believe, because this is the best fit on the data.” One of the reasons why the data is not refutable is the presentation of supporting historical facts, supporting the spontaneous memories of children 2-4 years old. These children had no exposure to past live history information, yet unfailingly gave details of past lives that were verifiable. We plan to invite further contributions on this topic. It’s a conversation worth pursuing. Namaste. you are all wrong.recently i have discovered the rebirth theory with evidence.and i challange the world scientist to speak to me on the subject. What particularly is wrong? Just curious. The theory of animal’s rebirth was the challenging and most wanted question for the scientists in the past. But to day on ward it is no more question. I have defined this theory with great accuracy and evidence. According to my this rebirth theory i shall tell the scientists and the world that a human when dies how he rebirths in shape and life of Buffalo, cow, camel, birds , crocodiles, fish ,snake, lion , horse, dog etc, And when these animals dies rebirths in life of human . There fore i challenge the world scientists to discuss it with me and to inquire me about this discovery. I am intrusted to show this amazing discovery to the world. in Presence of Press and electronic media in Pakistan. This youtube video is by Dr. Bruce Greyson who headed a department at Virginia state University that had a continuing investigation on this topic. The comment that ‘it is irrational not to believe in rebirth’ needs some qualification. As is set out in this piece it is misrepresented slightly. It basically means: if one were to face it with an open mind it would be irrational to not consider it as a possibility. From that statement it does not follow that it’s true or it is irrational to consider other possibilities. It makes quite a mild statement that since the evidence is there it is irrational to not consider the theory. The fact is that the outcome of any analysis on the existence or rebirth or not, is beyond our control. We do not have choice on what we have to become in our next life, if at all it exists. The discussion on this thus will have no productive end. The important point worth noting is that there is no repetition of an individual, come what may. We do not see another Einstien,Gandhi or Krishna of the same acumen around us, though we wish they where here again. Thanks, much respect to you and your views. My view, somewhat supported I think in Buddhist teachings, though, is that Karma (actions) do influence how we are reborn (so it’s not entirely true we can’t help control our path of future rebirths). That’s not objectively provable, of course; rebirth on the other hand may someday be objectively demonstrated by science. Some data strongly suggests it already (case data), and also certainly a vast quantity of subjective data. On the idea of the discussion having “no productive end” I respectively disagree. All discussions are productive and it’s not valid to say even light discussions are unproductive. On the assertion “there is “no repetition of an individual” that is not necessarily the case, again in my opinion supported by some case data. We don’t know objectively, but again subjective data suggests that some identification survives (i.e. in a vast quantity of carefully collected past memories from young children in several big studies point to this), so I don’t think that statement can stand either. I don’t think the important point is whether Einstien will be reborn with full memory of self, but only that whatever is reborn continues. In Buddhism, we tend to think of EGO rather than individual (individual is too difficult to define). Ego leads to attachment and suffering, etc, etc, (longer discussion i.e the Four Noble Truths, the Noble Eightfold Path, etc), but ultimately we talk of ego not surviving. Ego is not the same as whatever we define as mind (which is what “survives” according to most beliefs; some say the soul, but Buddhist tend to point to the mind). 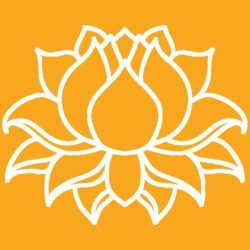 Just because that selfish part that wants to cling to “I was once Joe Ingles of Florida” doesn’t mean that the essential mind of Joe Ingles didn’t continue as an ego-less mindstream… nothing’s objectively provable, but subjective evidence does support may of the Buddhist (and Hindu) beliefs in rebirth. And a wide body of data also suggests, that the unconscious mind does in fact retain identification from previous lives (i.e. the study of those many children who recall past lives in great detail). Some psychologists theorize that this ego is buried in what Dr. Jung would have called the Shadow (unconcious mind) in the same way a traumatized person might bury memories of their childhood because of abuse… it’s too painful to “recall” so the mind submerges it. This, together with the study data, at least leaves room for robust discussion and keeps it very much a positive one. Just my view, much respect to yours and thank you for commenting! Mother gives birth an empty body of a child and the Surrounding and the time give birth the self /soul and heart of the child . So, like surrounding like mind, like mind like action ,like action like result and the result is what we every one are at now. Be it Einstien , Mahatma Gandhi , Lord Buddha or a renowned terrorist or anybody at present . Everybody’s present state is the result of their mind and action in their respective surrounding and time. So, if someone is given rebirth , he will be what his surrounding and time will determine…….So, in order to have a better life we need to get a better surrounding or a best surrounding . The Surrounding may be anything that influence our sense or feeling in our prenatal state or in our postnatal state or in our infant state or in our childhood……..So, the feeling of ” I ” or the self comes from our surrounding . I am this , I like this , I do not like this . In every moment our surrounding works on us which determine what we are at now….. So there will be no repeating of a character even if we take a rebirth ……. Bogus arguments for and against rebirth or reincarnation. Fact is what we see and experience in our life journey. Science will theorise and religions will foolhardily debate. Those who have seen and experienced will be sure of rebirth and those who have failed will not believe in it. Try to read An odyssey into other realms of thought,a book. Hi and thanks for commenting. It would be nice if you would explain why you believe the arguments are bogus — both ways. I am personally open to all views, but there is nothing in the arguments that is not plausible, and even if you believe there is, please explain why, and cite your references in more detail. One book or one author isn’t a convincing counter-argument. Basically, I’m guessing, but with respect, this sounds like a strong personal opinion — a sort of “oh, what nonsense” reaction to a topic, without breaking down why you feel that way. re is scientific evidence of rebirth. I don’t think this will ever be proven or disproven by scientific method. The body of evidence is strong, but anecdotal, therefore not acceptable as “proven” yet at the same time it is defitely not refuted. There is no refuting evidence. Which leaves us where we started, but the anecdotal evidence certainly is compelling. Concur. Scientifically, one must be agnostic. How would these be ruled out. For example, how would the investigator know that the parents had not investigated a “prior life” and talk to the child about it, then claimed otherwise? In other words, how could the investigator know the memories were spontaneous? Coincidence is considered “unlikely”. by Tucker, but with only 4500 cases documented out of say 6 billion living people, couldn’t most “weak cases” without much detail be explained by chance (there are about 6 billion candidates for each “claim”? The strong cases could then be by fraud? Dr. Tucker doesn’t report on any claims (vague or detailed) where the “prior life” person could not be found. This is a very important statistic and relates to the coincidence variable. As this number goes up, coincidence seems more likely. 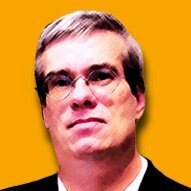 Why are there no reports of prior lives as other than normal people: divas, animals, etc,? For a scientific theory to be accepted to explain observed phenomena, the theory should explain all related phenomena. How does rebirth explain where the “prior lives” come from to support population growth? I realize that this would require looking at the population of not just people, but all living beings, including animals and even divas (that can not be demonstrated through observation). Still there seems to be no consideration of this question. Why?? This point has been discussed in other features. Feel free to expound here. The bottom line is, there should be no limit to population growth, since the universe is so vast, and — if you accept quantum theories of multiverse — quite beyond vast. There are limitless galaxie, stars, planets, universes. It would be silly to assume only the Earth is inhabited. When the earth finally extinguishes, as all things do, life will continue “out there.” Thanks for contributing, George! So, my son who thought he was the child of “Aliens” who would come to claim him, might have had a prior life in another galaxy, far away?